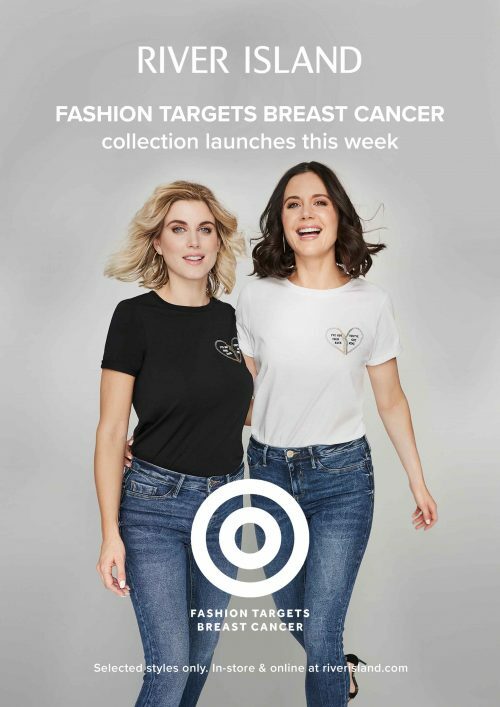 Introducing the new exclusive Fashion Targets Breast Cancer collection at River Island. Including two slogan breast cancer awareness t-shirts and a pair of skinny jeans, they are giving 30% of the proceeds to Breast Cancer Now to help with their lifesaving research and breast cancer support. Fashion has the power to save lives.